Have you heard her weeping? 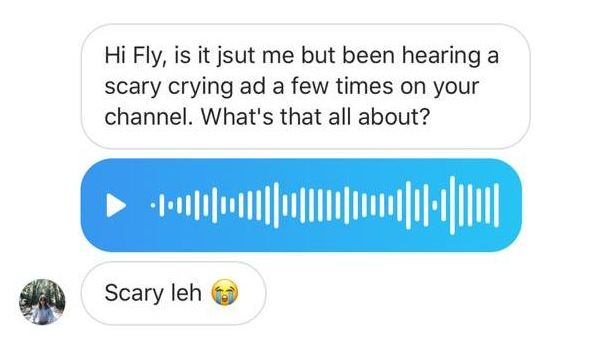 Walauuuu did you all hear the scary crying lady on @FlyFM958 Malaysian radio channel kena rasuk ah? Can y'all hear the crying in the background? This seriously freaked me out the other day man! People even ran out of the cinema and everything! 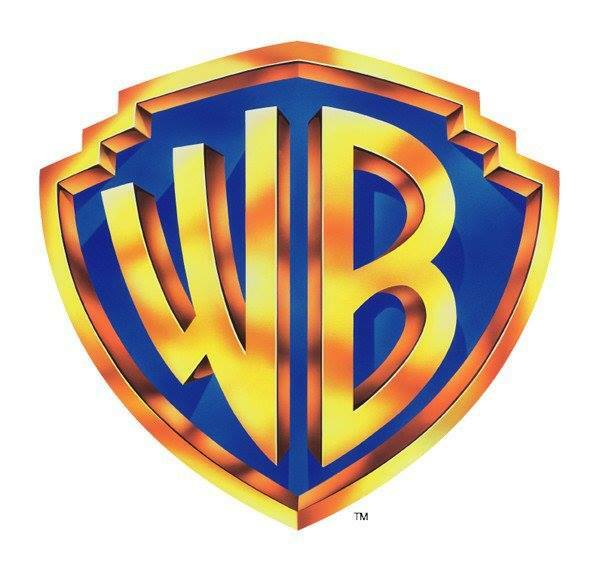 I was at the cinema for Shazam, and halfway through the commercials everything went dark. The screen went blank and all anyone in the theatre could hear was a woman crying. Wtf is this??? Am I the only one that heard it? According to eye-witnesses, there were people who even ran out of cinema hall when the weeping began because they just couldn't tahan the creepiness! The Weeping Woman, known as La Llorona, is based on Mexican folklore. It is believed that she drowned her two children in a jealous rage. Upon realising what she had done, she throws herself into river as she wails in pain. Since that time, her spirit continues to weep for her children, as she takes child sacrifices to replace her own. Set in the 1970s, the film centres around Anna Garcia, a widowed social worker, who is raising her two kids alone. One fateful night she brings her children with her on a call to help one of her troubled clients who is suspected of child endangerment. 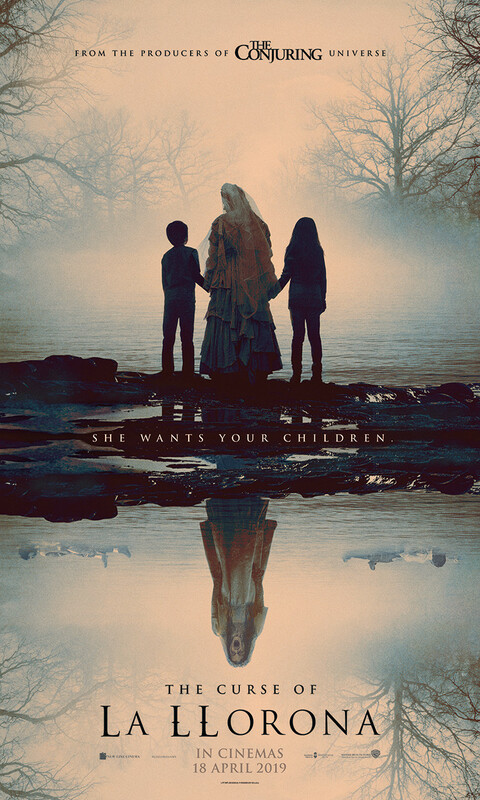 The client warns of a supernatural danger, but is ignored... Until Anna realises that La Llorona has latched on to her family in a desperate bid to replace her murdered children. We're super excited to watch yet another horror masterpiece from James Wan. With serious scares worked into the most mundane moments, be prepared to never sleep in the dark again. The star-studded film features Linda Cardellini, Patricia Velasquez, Sean Patrick Thomas, and Raymond Cruz. Are you brave enough to face her? Watch 'The Curse of the Weeping Woman' in cinemas nationwide on 18 April! Mostly shot in the small towns in the northern region, 'Forevermore' is truly "made in Malaysia". Someone Is Trying To Resell 'Avengers: Endgame' Tickets For RM700 Each. For Real. The iconic '90s boyband is set to perform in Malaysia on 8 and 9 August. Netflix has been known to remove shows for specific countries at their government's behest.